Discussion in 'SFNE Discussion' started by DylanBIZARRO, Jan 4, 2016. 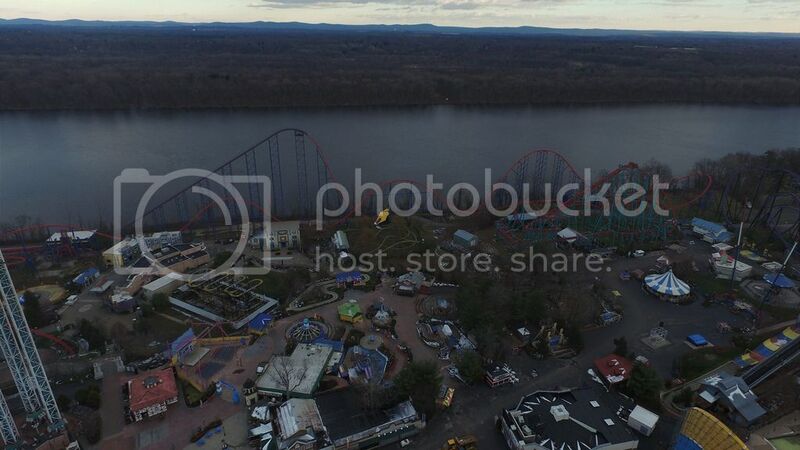 Today I decided to fly my drone around Six Flags New England. I am using a DJI Phantom 3 Advanced. 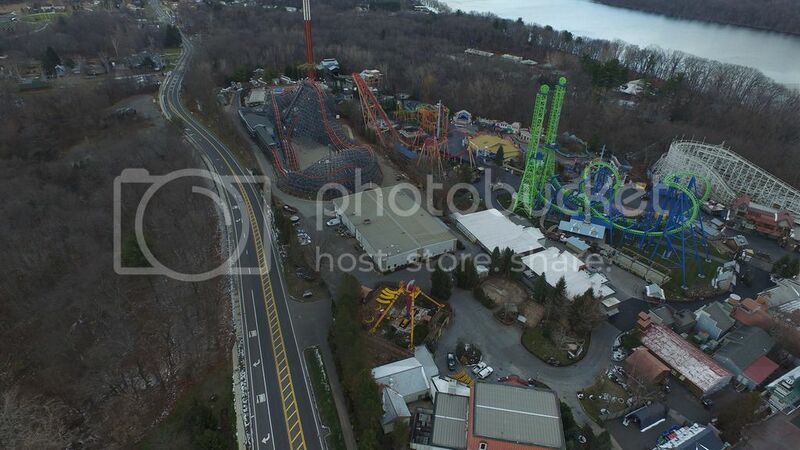 I have been flying this drone for a while now, practicing an hour a day when the weather is right, and I am comfortable now to fly it to take aerial shots of SFNE. This drone is VERY stable and is solid as a rock. When it hovers in the air, it doesn't move unless you tell it to! And I have also fully registered it with the FAA. Now, I didn't go too far away from where I was, and I plan to come back and take pictures from the other side on the trails, so hopefully there will be more drone pictures within the coming week. Anyways, enjoy the pictures, kind of like a PTR! Note- Some pictures have been zoomed in to point out certain things in the photo. First thing of course is Fireball progress! Seems like they got the foundation done. I can see there is not pieces of the ride in place or anywhere near the construction site. Zoomed in. 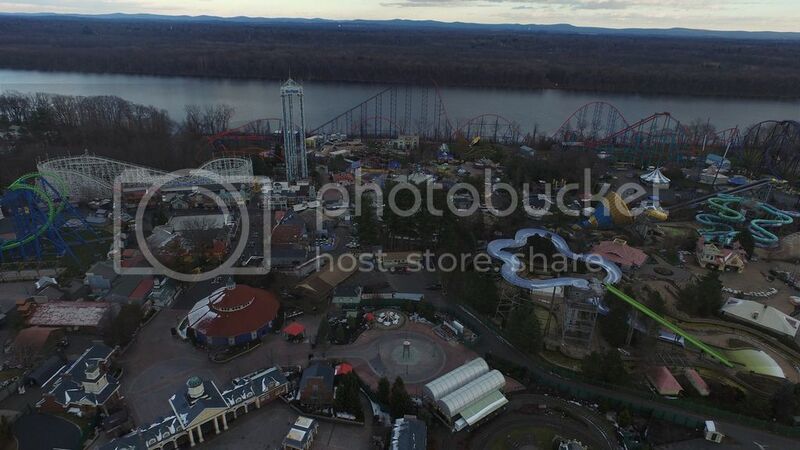 Sorry if its so high up, I didn't want to fly into the center of the park. In this picture, it shows the paint on Biza -- Superman. Looks like they have the entire thing all painted! Hopefully it stays that way! 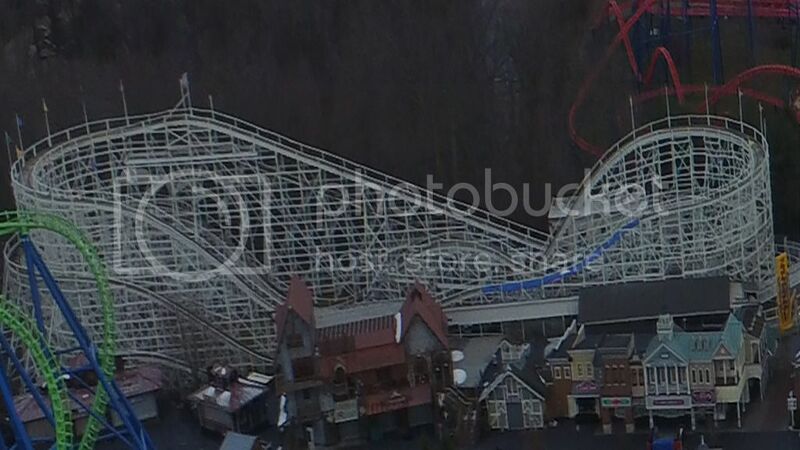 Something I want to point out, is that on the first tunnel, it seems like they may be putting a superman themed cut out! Thats what it looks like with the yellow stuff. The S shields are also still there. And they took off the bizarro logo off the entrance. Superman's shall be there soon! 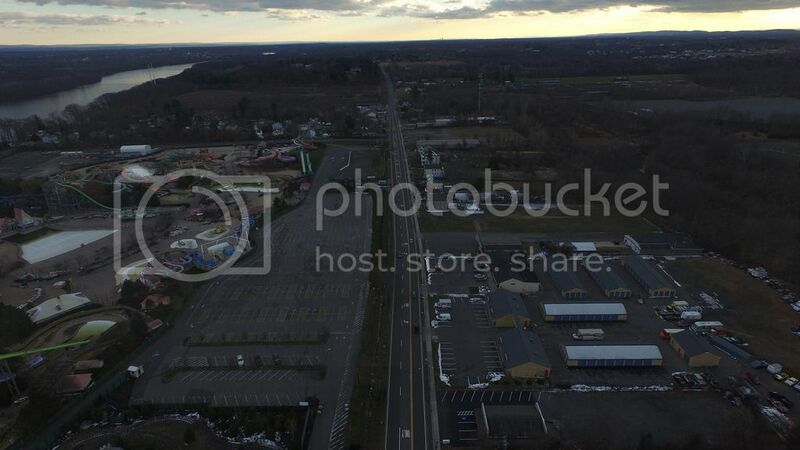 Here is a nice shot of SFNE again! I see something in this picture. Can you spot it? 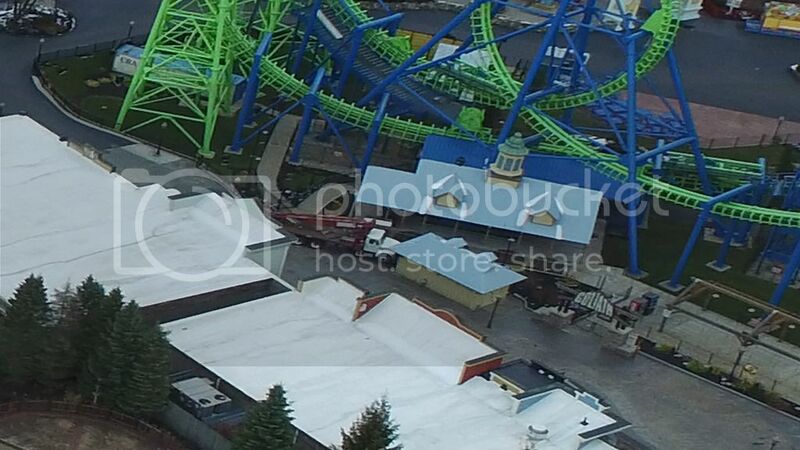 What is the blue tarp or whatever on Thunderbolts track? Are they doing something with it? 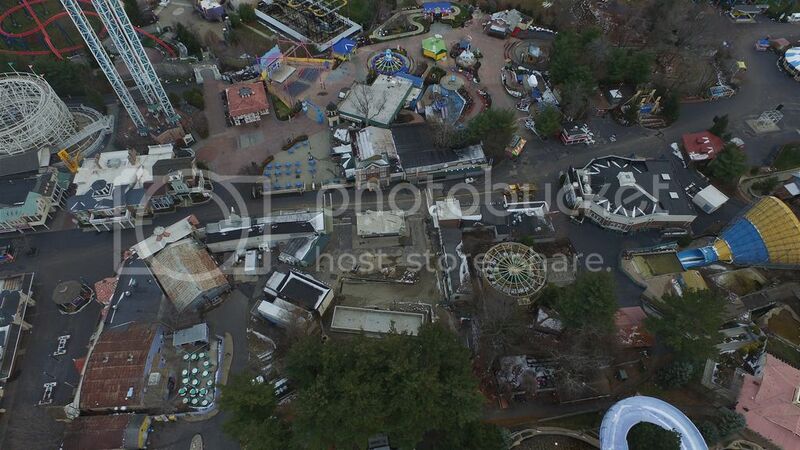 Here is another nice shot of SFNE. What is up with Tomahawk!? Is that seriously what they do to it during the off season? Wow, that must be a pain. Maybe they are just doing some maintenance on it. I hope you enjoyed the things that I noticed when I was up in the air! I am really happy that I saved up and bought this drone, it is simply the coolest piece of tech I have ever bought! Anyways, please post anything you would like me to take a picture of next time I am at the park with my drone. I hope to go to the trails this week and fly it there. Enjoy this pictures. Also let us know if notice something. Seems like there's an issue with your pictures as they aren't showing up. How did you upload them? If you used photobucket, or tinypic, did you copy and paste the IMG codes? I used the sfneonline photo thing, but I think I may know how to fix it. One second. The pictures are uploading, not too much longer. So sorry again. Thanks for the pics! 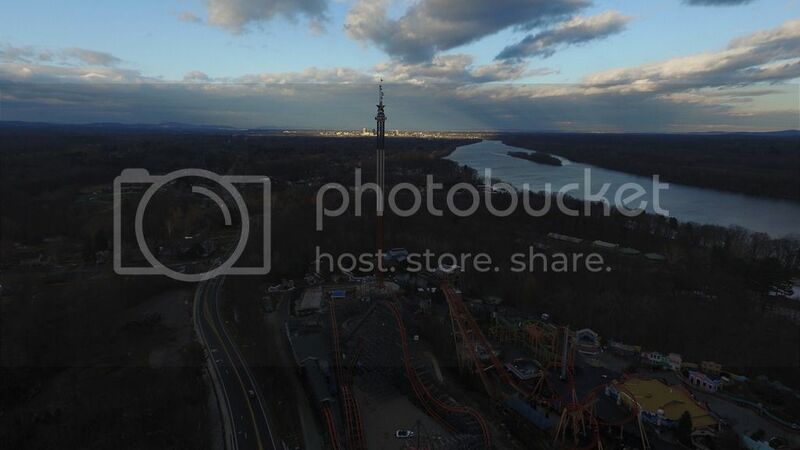 I had no idea drones could take pictures like that. Very cool. Not a fan of the yellow tunnel, I assume they will put a cutout of Superman on it or something. Once they do that it will probably look ok but it looks kinda odd. Also I have no idea who thought it would be a good idea to paint the ride purple. It looks so much better red. The station and the track look very good. I hope they ditch the building cut outs though, they are kinda weird and look tacky. Although they will probably stay because they are still there. Looks like T-bolt got some work done as well. Tomahawk looks like it was painted. 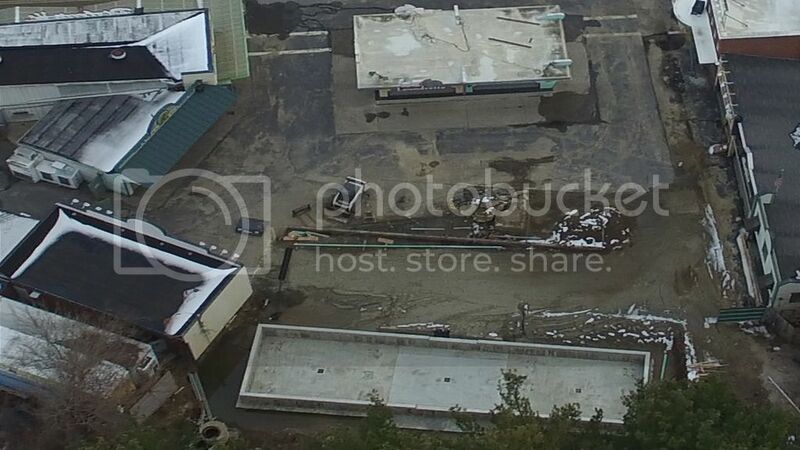 Pretty weird that they are refurbishing it when they just ripped down the one at SFFT. Also the top pic reminds me of SF New Orleans for some reason. The bottom part looks like the place is abandoned lol. Awesome pics thanks for sharing them. 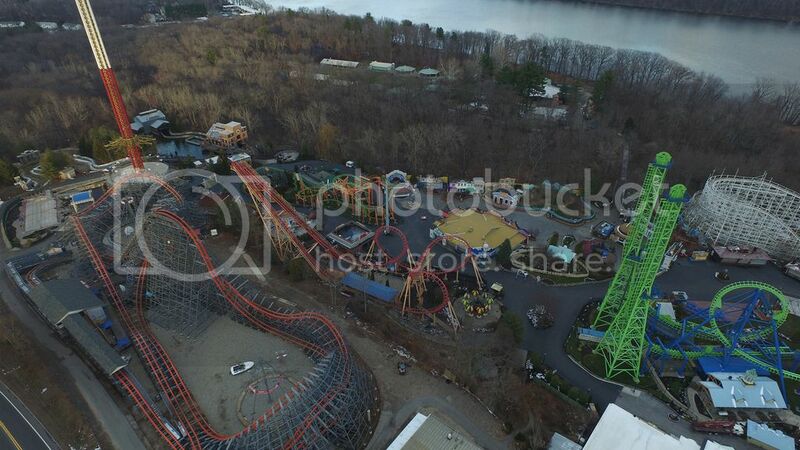 They are really doing a serious rehab to tomahawk as they normally just wrap the ride for the winter. It looks like they have a foundation for fireball, but i don't remember if eldiablo was done the same way? 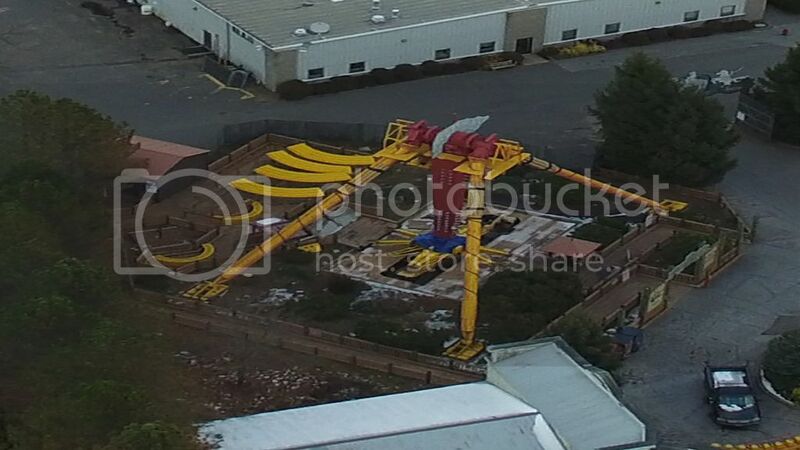 I don't see any of fireball's parts on site. Holy crap awesome pics! Thanks for sharing! 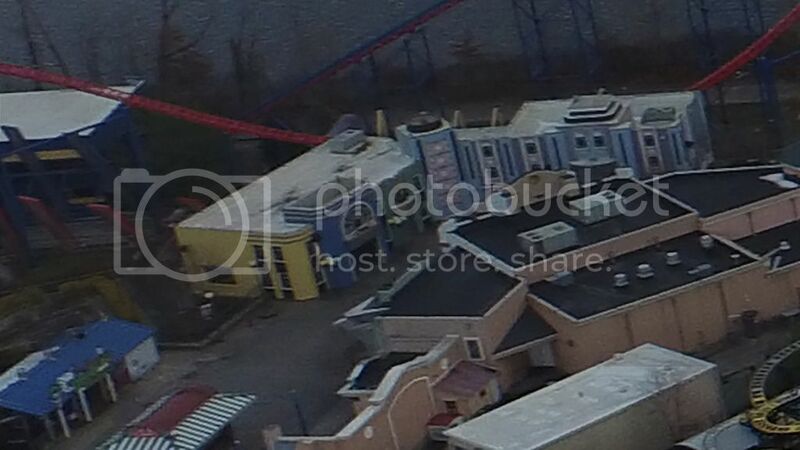 I wonder what they are going to do with the entrance to bizarro's first tunnel thats painted yellow. Look at all the land they would have if they removed FB and relocated the balloon race. 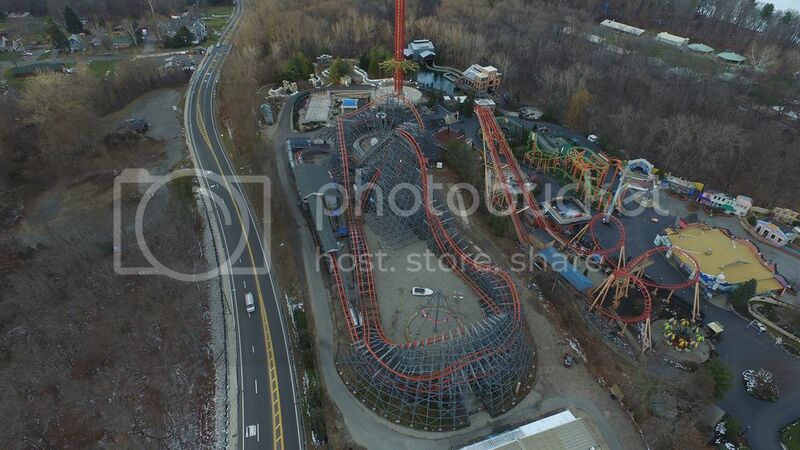 Fireball fits perfectly in twisters spot and i can't wait to see it finished. That's what I was thinking, there would be a good chunk of land useable if Flashback is removed. There is also a little around CWW and ME. I am guessing that the next coaster will go in ME's spot or Flashback's spot. ^ yes i still hope they get a custom motocoaster in FB's spot and a unicoaster in Rodeo's spot. I feel like the yellow on the tunnel is just a protective covering for whatever cutout they put on there. 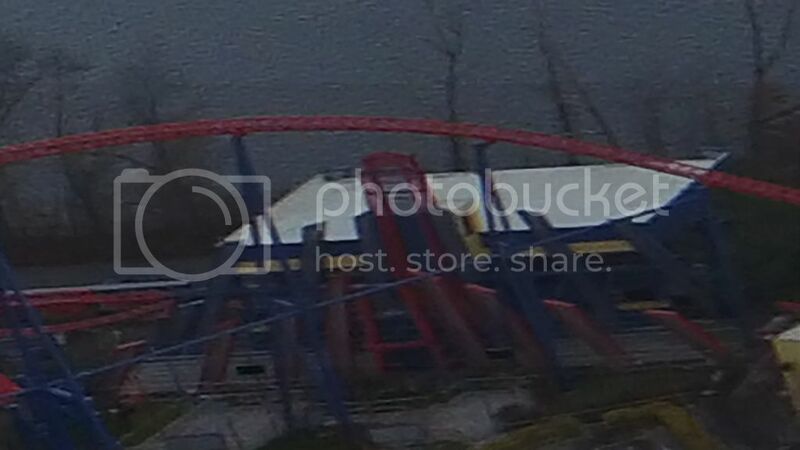 Another thing that I forgot to point out is that the buildings are still there on Superman. Maybe they haven't taken them down yet, or maybe they plan to keep them up, or maybe they put something else on the cutouts. I wish they would add more buildings to superman so you feel like your flying through metropolis. Well I mean in Man Of Steel movie Superman basically destroyed all of Metropolis so would make sense to crash through buildings. And also it looks like Fireball will be up one the hill? I like that idea. Cause it looks like there is a cement pad. Wow, haven't posted in while but awesome pictures! 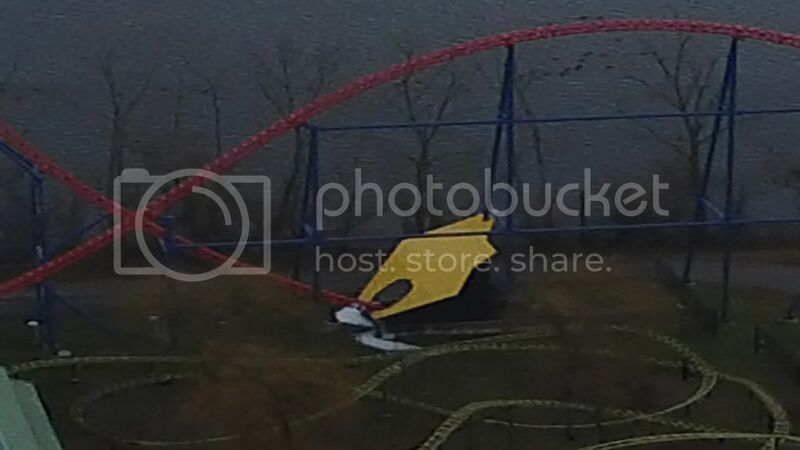 Glad it looks like they're keeping the theming for Superman. When is Fireball scheduled to open for the season? Is it opening day or later on in the spring? With the progress they made I don't see why it can't open on day 1 because they literally can assemble it in less then a week. Construction Park coming to NJ? Construction Tour & Interview Tuesday !